The most popular antibiotics prescribed for parasites and small intestinal bacterial overgrowth are known as broad spectrum antibiotics. They destroy good and bad bacteria leaving no good healthy bacteria in the gut. Antibiotics do not kill fungi infection, which can be a part of an overgrowth of bacteria in the small and large intestines, such as Strep & E coil over-growth, which can create the perfect environment for Candida fungi yeast to grow and thrive. This is a living paradise for parasites infestation. It is also well documented that many strains of bacteria are building up resistance to antibiotics. If you have had ongoing or repeated courses of antibiotics your gut health will be compromised, as will your immune system. 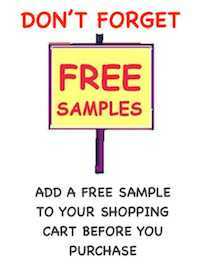 If your immune system was low before a course of antibiotics you will be unable to fight off infections successfully. Repeated rounds of antibiotics over a long period of time will create imbalance in gut flora and an overgrowth of nasty and unhealthy bacteria. This is called Dysbiosis. The unhealthy bacteria takes the nutrients from the food you eat and start to grow and multiply. This process creates millions of cells that accumulate. These cells originates from just one cell and are called a microbial bacterial colony. Microbial colonies within the gut also excrete waste by-products. Under normal healthy gut conditions your body eliminates these by-products successfully. 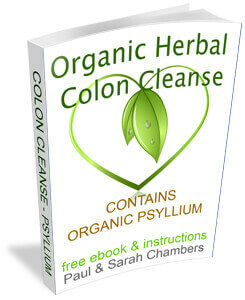 When the gut is compromised with large colonies of unhealthy bacteria, natural elimination does not occur. 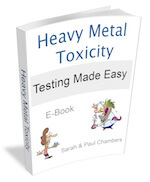 As the colonies of microbial toxic by-products increases, your body becomes overloaded and more unpleasant gut and intestinal symptoms are experienced. 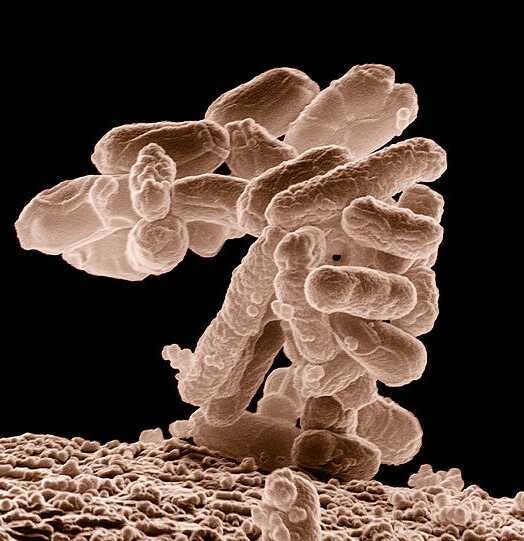 Image: Low-temperature electron micrograph of a cluster of E.coli bacteria, magnified 10,000 times. Each individual bacterium is oblong shaped. Photo by Eric Erbe, digital colourisation by Christopher Pooley, both of USDA, ARS, EMU. Generally bacteria are present right through the gastrointestinal tract. Your small intestines have less than 10,000 bacteria per milliliter of fluid. If you compare this with your large intestines, the colon or bowel, which has much more bacteria at a whacking 1,000,000,000 bacteria per milliliter of fluid. Both the small and the large intestines have different bacteria doing different job. Keeping your small intestines balanced and working correctly is important for the proper digestion of food and absorbing vital nutrients. The small intestines have a big role to play in keeping your immune system healthy. They contain a spider network of amazing cells that fight infections and regulate the immune system, these are called lymphoid cells. One of the risk factors involved in the small intestinal bacterial overgrowth is the lack of gastric acid, or hypochlorhydria. Under normal circumstances the gastric acid in the stomach suppresses the growth of bacteria we ingest. When the production of gastric acid decreases or production is low bacteria can develop leading to Helicobacter pylori, Unfortunately diagnosis can result in a false positive and antibiotics are then prescribed. We all need healthy bacteria; they are of vital importance for the small intestines. This amazing tiny microorganism aid and protects us from nasty pathogenic bacteria that enter our body. Good bacteria help the body absorb nutrients. The good bacterium also regulates the normal muscular activity of the small intestines, thus aiding the easy movement of contents through the gut. When the normal nerve and muscle function of the gut is disturbed and goes out of balance it alters the microbiome, or flora on the gut, which then leads to various symptoms including moving contents through the intestinal tract and successfully elimination. Small Intestinal Bacterial Overgrowth (SIBO) is an increase, or change in the number of bacteria in the small intestines. In general this change to the bacteria is not the result of a single strain of bacteria, more like an overgrowth of different types of bacteria that should not have found their way into the small intestines from the colon. Bacterial overgrowth in the small intestines not only influences the function of the small intestines but also the structure, which results in poor digestion and upper stomach symptoms. The consequences are damage to the lining of the small bowel, which can lead to many unpleasant symptoms such as leaky gut, immune reactions resulting in different food allergies, food sensitivities, chronic inflammation, and even autoimmune diseases such as Chrone's disease. The whole process of digestion involves the breakdown of food in the intestines. This digestion breakdown produces gas and it’s the gas that causes bloating and a distended painful stomach. In most cases the gas passes as flatulence. Around 70% of people labeled with irritable bowel syndrome (IBS) have small bowel bacterial overgrowth. Antibiotics are prescribed by doctors for treating small intestinal bacterial overgrowth, as well as many other bacterial infection and parasite. Research on this subject has shown that half of all treated patients SIBO recurrence after treatment. Antibiotics are not successful for most people maybe this is why. In this video Micro-biologist Michael Baym explains how bacteria move as they develop resistance to antibotics. People with intestinal bacterial problems can suffer with a lazy bowel syndrome.This means that feces stays in the bowel or large intestines rather than moving through freely. Prescribed medication for gut problems can cause constipation, which is an unpleasant side effect of many drugs today. Obviously if this happens it's an indication that the bowel needs clearing. People who suffer with recurrence gut problems even after antibiotic treatment may be better getting tests done to diagnosed the cause. 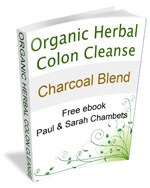 There are many benefits of doing an organic herbal colon cleanse especially for elimination of unhealthy bacteria and promoting muscular contractions of the small intestines and the colon, which is really what the whole digestive tract needs, followed by a gut health program with diet, herbs and supplements. 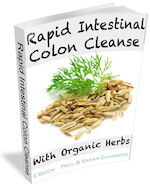 Colon cleaning, parasite cleansing and gentle organ cleansing of the organs is an important part of the natural process of clearing your digestive tract of colonies of bacteria and toxins. 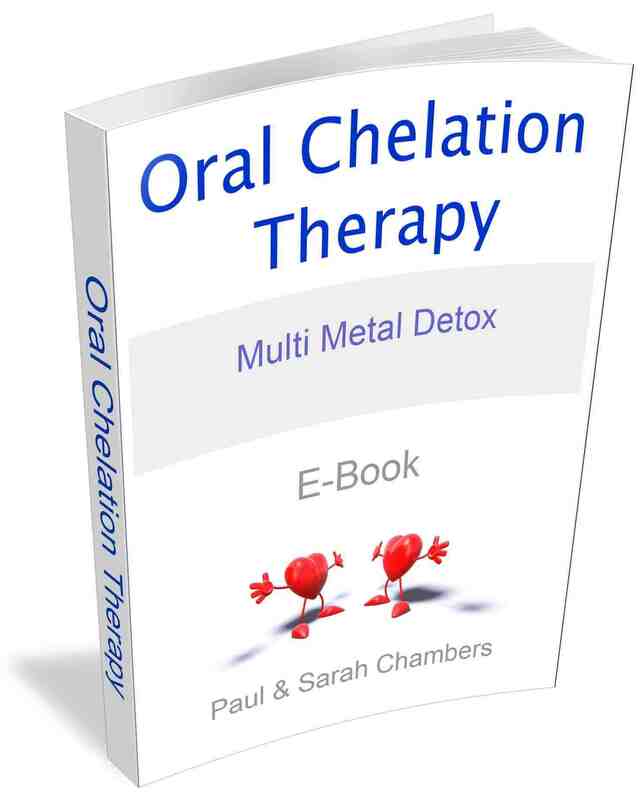 If you have intestinal problems, Candida yeast overgrowth, or been diagnosed with any the many different one-celled parasites that thrive in bad gut conditions, or suffering with any gut issues you may have intestine bacterial overgrowth and not realise. 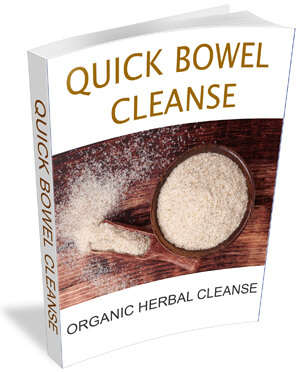 Colon cleansing with organic herbs clears the bacteria out of the small intestine and colon and using specific herbs can dramatically reduce; if not clear bacterial overgrowth, along with a healthy diet. For gut healing to occur the underlying causes, or predisposition factors that cause bad gut health problems needs to addressed also. There can be many reason and underlying causes of undiagnosed gastrointestinal problems it is just a matter of discovering what the casual factors are dealing with them and then healing and rebuilding the gut.